Dr. Jacklyn Chisholm, President and CEO of the Council for Economic Opportunities in Greater Cleveland, welcomed U.S. 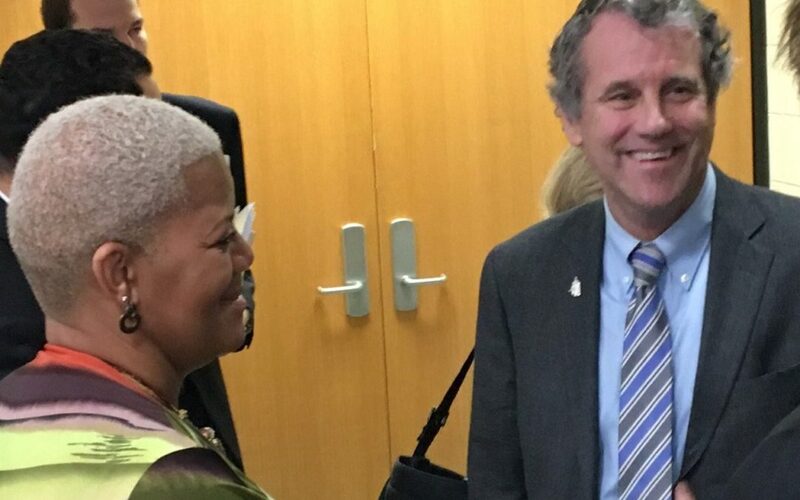 Senator Sherrod Brown (D-OH) to the William Patrick Day Head Start Center on Monday morning to hear more about his proposed legislation to increase funding for lead testing in Cleveland-area schools. Sen. Brown spoke to members of the media about his Lead Testing in School and Child Care Drinking Water Act of 2016, legislation that would create a new grant program to help schools conduct regular testing. Kim Foreman, Executive Director of Environmental Health Watch, and Dr. Thea Wilson, Vice President of Children and Families at the Council for Economic Opportunities in Greater Cleveland joined Sen. Brown in emphasizing the importance of these federal dollars. More than 30,000 children suffer from lead poisoning in the Greater Cleveland area, and the effects of lead intake in children are typically non-reversible and have lifelong consequences. Sen. Brown urged Congress to act quickly on this bill, saying he hopes his colleagues can get it to the President’s desk before the end of this term. “No parent should have to worry that their child could be drinking poisonous water at school,” he said.